America’s national parks are some of the most spectacular backdrops for an outdoor wedding, and some of the best places to elope. I’m sure you’ve seen breathtaking photos from popular elopement spots like the stunning peaks of Rocky Mountain National Park , the view of Half Dome at Yosemite National Park, and California’s grand trees of Muir Woods and Sequoia National Park. If you’re looking for unique wedding locations, check out the many amazing national parks right here in the States! There is truly so much beauty in our public lands, and plenty of adventure to be had. If you spend your weekends hiking and enjoying the outdoors, this might be the perfect adventurous elopement location for you. While the process is fairly simple, there are a few things to keep in mind when you’re planning an elopement or small wedding in a national park. Each park is, of course, unique and may have specific regulations, but here’s a general overview how to elope in a national park. Before you get started with any paperwork, decide on when and where you want to get married in the national park you’ve chosen. If you’re getting married in the park’s busy season at a prime location, have an alternate date selected just in case. It’s also wise to have a backup location (or two) in case of bad weather or unexpected closures. If you don’t have a favorite spot picked out already, consult your photographer, officiant, or a park ranger on location ideas. Browsing photos online from travel, hiking, and wedding blogs can also give you some inspiration. Just be aware that the more known a particular spot is, the more likely it is to have visitors. If you want an elopement ceremony that is very private, you’ll want to find a location that’s off the beaten path or pick a non-peak time. Check out of my favorite national parks for location inspiration! Muir Woods National Monument, California. As soon as you know the date and location for your elopement, you’ll need to apply for a special use permit with the park. All national park wedding permit information is on each park’s website. The permit form will require some personal information and a few details about the event. You’ll also need to send in the application fee (usually $25 to $150) in the form of check, credit card, or money order. I recommend sending in your application as soon as possible, but no later than 2 weeks before your elopement date, as it takes a couple of weeks for the paperwork to be processed. After sending in the application and fee, you’ll need to wait for it to be approved and the permit to be issued. If you’re nervous about your elopement location or date not being approved, call the park office ahead of time and talk to them about your plans. They’ll be able to tell you if a particular area is closed or a special event is taking place on your date. Also make sure you read through the park’s special use regulations online to find out what is allowed or not permitted. Certain equipment and props may be banned (like sparklers or huge ceremony backdrops). If your national park elopement is a destination wedding, check on the marriage laws and what you need to do to get a marriage license. Most states have pretty standard regulations, but some states may be a little different than what you expect. For instance, in Colorado you don’t have to have an officiant or witnesses – you can actually marry yourselves! (It’s called self solemnization, in case you want to check it out!) A few states, like New Mexico, allow you to receive the license same-day, but most have a waiting period. Any time you’re outdoors, expect the unexpected when it comes to weather. Just because it’s summer doesn’t mean you won’t need a jacket. And rain? You never know when it will hit! Each national park has information on their website about average temperatures and weather for each time of year, and local rangers can give you even more specific advice on how to prepare for your time at the park. Also check for any trail closures or warnings in the area you plan to visit. Many parks have regulations on where you can go or what you can do in certain fragile environments, but regardless, you should always the LNT philosophy. Leave the area as good or better than you found it – that means you pack out any trash like a champagne bottle cork, stray flower petals, and anything else you brought in. Also leave wildlife alone, and don’t take anything home from the park like flowers, rocks, and other natural items. If an area is off limits because of fragile vegetation, etc., be respectful and keep out. We want our national parks to be beautiful and available for years to come, so let’s keep them wild and clean! To find out more about the 7 principles of the Leave No Trace philosophy, check out the Center for Outdoor Ethic’s information. I hope these tips for eloping in a national park have been helpful! If you’re thinking of having your elopement at one of our beautiful national parks, get in touch with me, and let’s plan something awesome! THANK YOU for writing this up! I know a lot of couples are confused about how to go about having a national park wedding, and this was so helpful! That is so true Brandi! I love that National Parks and adventurous weddings are becoming popular, but there’s still a lot of lack of knowledge about the right way to do it. Hopefully I can help some adventurous couples out! Ya girl!!!! Such an important guide!!! Love that you included leave no trace!!! Hope your couples have a wonderful national park elopement! 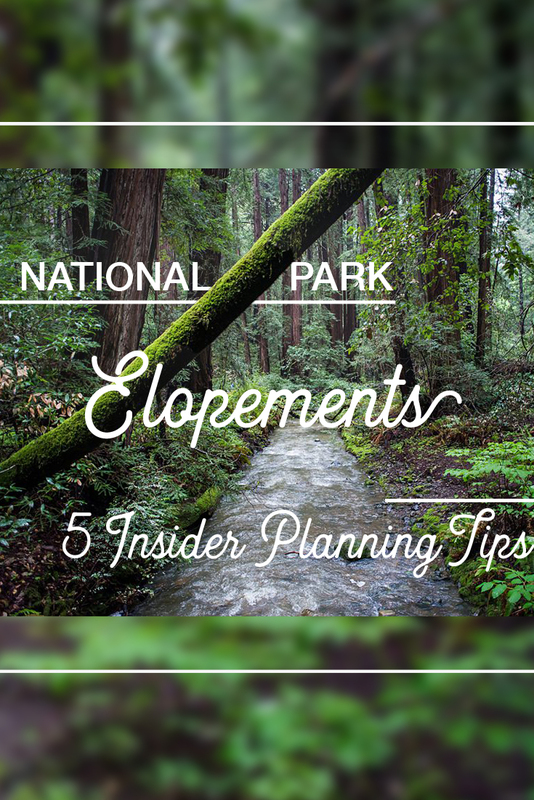 I love that you’ve shared the steps for how to elope in a National Park! Eloping at a National Park would be SO beautiful and so perfect for the adventure + travel loving couples! Thanks Kayla! Yes, a national park elopement is sooo perfect for travel lovers! Awesome!! 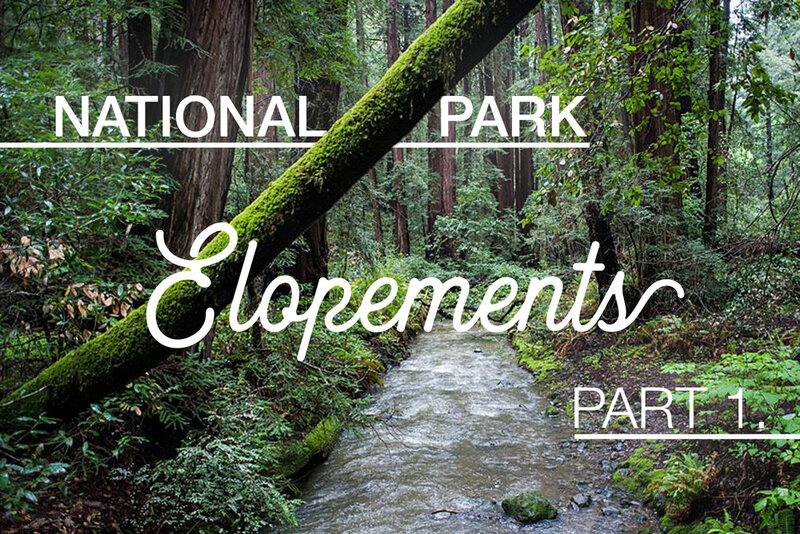 This guide would be so helpful for someone wondering how to elope in a national park! You can’t go wrong eloping in a national park this guide will be so helpful to all the brides who have questions about it! Such a good idea and many awesome points I would’ve never thought of!